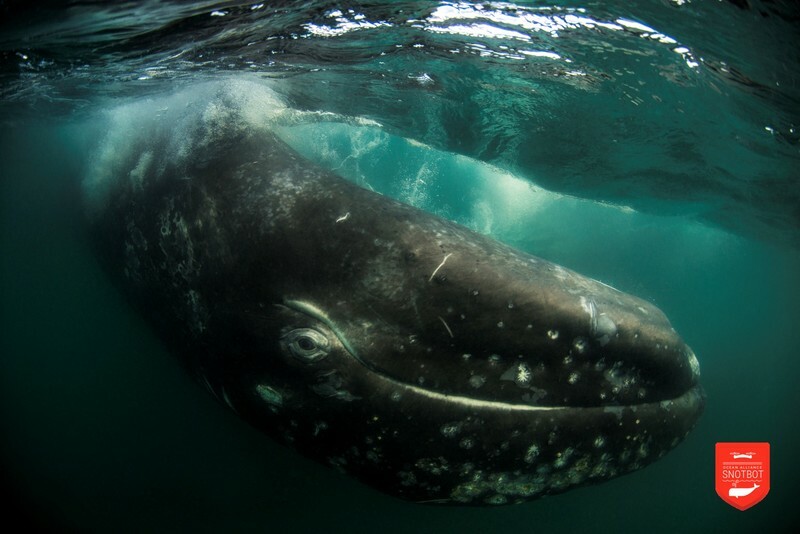 The Snotbot is the brain child of Iain Kerr, CEO of Ocean Alliance, a non-profit dedicated to the conservation of whales and their environment. As a custom-built aerial platform, it is an ingenious way of adopting cutting edge technology to solve the problems the organization has met in its work to study and preserve our whales. DJI joined and filmed the Snotbot team's expedition to the Sea of Cortez where our Inspire 1 successfully aided the researchers in collecting samples that will let science take another step forward. This is the Snotbot story. The usual way of collecting samples from wild whales involves using loud motor boats to track and chase the animals in order to get close enough to shoot them with a dart. Although collecting samples is essential, this method can be considered cruel considering that whales are sensitive to sound. The chase also introduces an element of stress that no creature wants to be exposed to. By substituting motor boats with aerial platforms, researchers can easily survey a large area while positioned half a mile away from their subject. Maneuvering the drone above a whale as it surfaces, they're able to quickly collect snot and blow exhaled from its lungs. 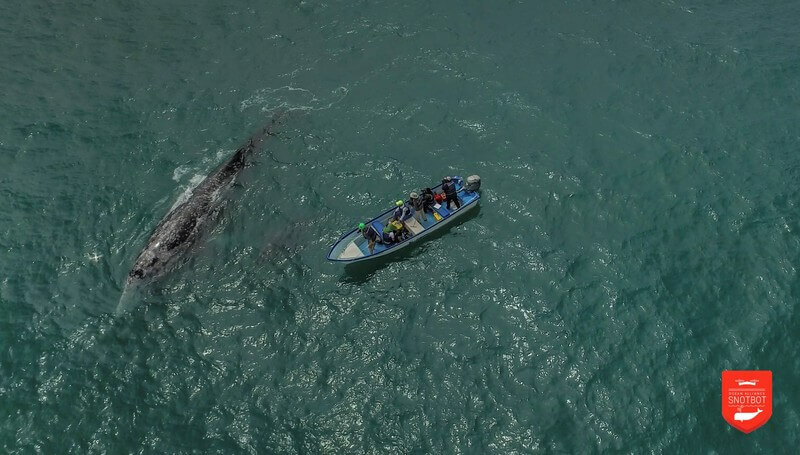 This new method for collecting samples is much less invasive to the whales and much quicker, so that researchers need just one day to collect the samples that would previously have taken a week and required a crew of more than ten people. Meanwhile, the whales are free to go about their day undisturbed by noise and stings. The collected samples can be analyzed to see what virus and bacteria an individual whale is carrying, analyze their DNA, and detect toxins present in their system. They are also able to detect reproductive status by looking at hormones to determine reproductive cycles and stress levels that may be caused by external human and environmental factors. Sea of Cortez is the the Snotbot team's second expedition, with the objective of increasing snot sample size from 20 micro liters to 80 microliters so that more types analysis can be performed. A second objective is to use commercially available aircraft for collection. This way, the team is able to prove that the method is replicable and scalable, even by researchers without the resources or expertise to build custom aerial platforms. 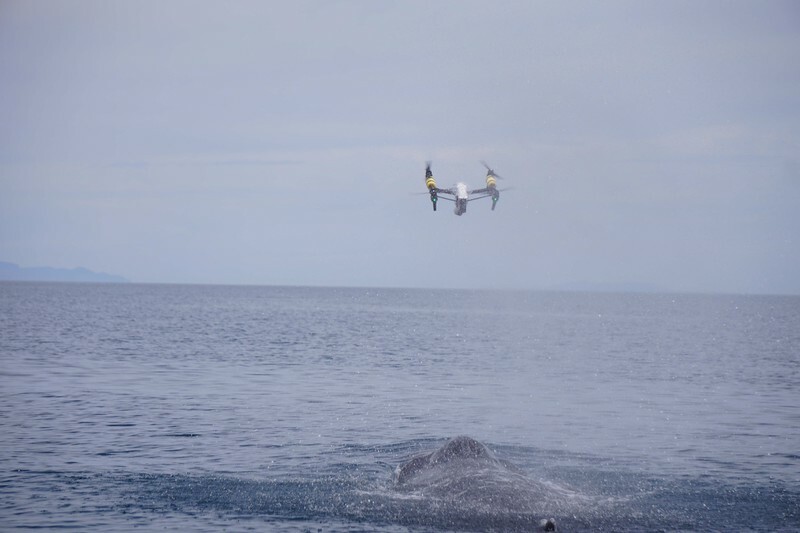 Whale research sounds complicated, but adapting an Inspire 1 for this purpose is easy: just attach a couple of petri dishes on top of the aircraft body. The trick is in piloting the aircraft so that you pass over animal the exact moment it exhales, so that the liquid from the whale's blow is captured in the dishes. For the Phantom 4, a simple device made out of a stick and cloth is enough to capture snot and blow. DJI's leading camera systems also provide opportunities for researchers to quickly capture valuable image-based data about their subjects. With the high-resolution photographs captured by the Phantom 4 and Inspire 1, researchers are able to identify specific individuals while tracking their growth and physical development over time. Intrigued by the Inspire 1? Get yours at the DJI Online Store.